Welcome to Shrouded Enigma Entertainment! We pride ourselves on striving to be the best competitive roleplaying fed on the net today. Tired of boring, stereotypical mega-feds? Well, then SEE is the place for you. We pride ourselves on well-written results, quality storylines and booking that will keep you interested in roleplaying consistently, card after card. If you have any questions, concerns or suggestions, please feel free to contact a staff member here on site via a PM, or reach us on Facebook using the staff links above this text box. Thanks for stopping by, we hope you enjoy your stay here at Shrouded Enigma Entertainment. This is where you'll find the rules & regulations for Shrouded Engima Entertainment. This will have all roster information. Singles, teams, stables, managers, former talent, booking frequency, etc. This is where you'll go to sign a contract. Please note that there are different contracts for wrestlers, managers and stables/teams. All members of a stable/team must also have a singles contract posted, so we know their individual information. This will have all title information. This is Where you can give feedback to your fellow peers or ask for feedback In Addition to getting promo scores from events and PPV. This is where you can look at the taken bases and theme for SEE. This is where you will submit matches that are written for each card. This is where all Tuesday Night Temptation information will be found; including, but not limited to cards, roleplays, results, archives, etc. 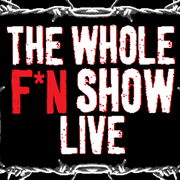 This is where you will find the current PPV card, results, roleplays, archives, etc. This is where you can post any character development roleplays. This is where characters may manage their IC social media accounts. Please note that everything contained within this forum is IC. Please do not take OOC offense to anything posted here, it's no different than what's said in a roleplay or a segment. This is an OOC forum where handlers can discuss what's happening currently in SEE. This is an OOC forum where handlers can discuss pretty much anything. Please, refrain from political or religious conversation, however. With Your Host Michael Maddox . He will discuss happening around with SEE as well results upcoming shows hiring's and firings and much more. This is where Liv Stark will award the handlers characters . This will occur after the set of results go out each So for Example We are waiting on Temptation 14 results to come out once those go up the next day Liv will have her awards to get out. One Half of the SEE Cartel Tag Champs. Woooo! The Future Will Beat The Past at Temptation 15!!!! © 2018 - 2019 Shrouded Engima Entertainment. All Rights Reserved.